Christmas! Christmas! I just love it! Can't you tell? Last year two of my friends in Korea made some of their own trees and I thought they were so pretty. I decided to do the same thing so I dove right into the deep dark abyss (also known as Pinterest) searching for the trees I wanted to replicate. 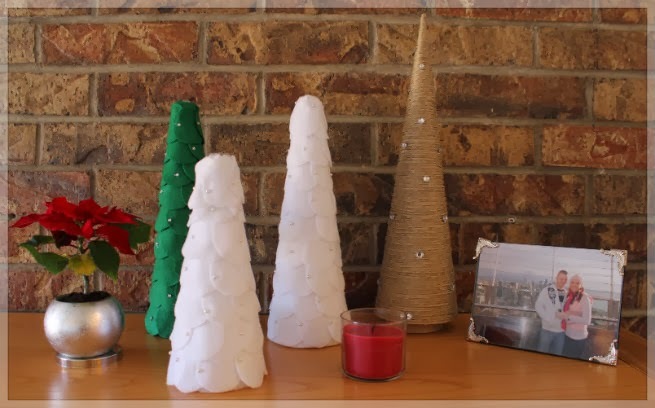 I came across a lovely little tutorial by Living Well Spending Less and crafted Dave and I some merry little trees. I did a few things different than the tutorial. I didn't have jute so I used hemp. Also, see all of those little pearls on the white and green trees? Those pearls came from my mother-in-law. When we went through her belongings I some how knew I would use these and kept them. I think she would smile if she knew I were crafting away with them. 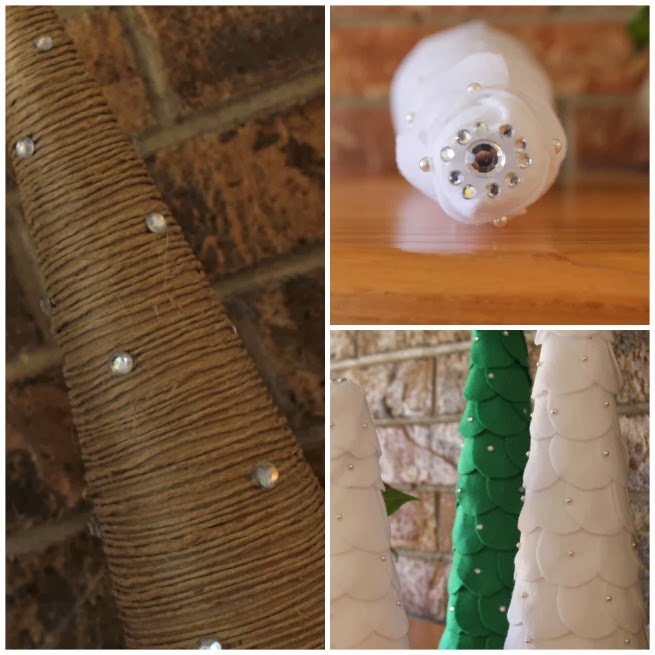 These trees take a bit of time (mainly cutting out all the circles) but are cheap and quiet a fun crafting project. I wont' steal someone else's tutorial I don't want to take 3 hours creating a new tutorial so I'll just let you hop right on over to this link here. Anyone else out there make some fun decor? I'd love to see a picture of it. those are so, so cute!! Oh they look so cute! Love the little bling-bling! Those are super cute! We should get together and craft sometime. Now that I know you're not a man. Ha! Yes! I love crafting. We should definitely do that next time we are together.